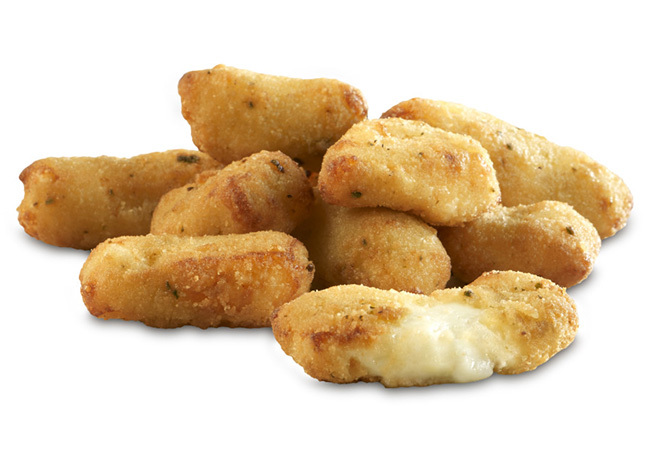 Natural Wisconsin white cheese curds breaded in a crunchy seasoned coating. 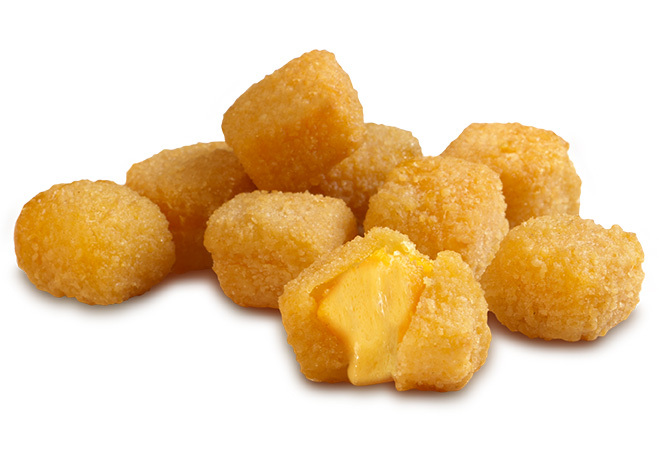 Creamy smoked Gouda cheese cubes coated in a cracker-meal, bacon studded breading. 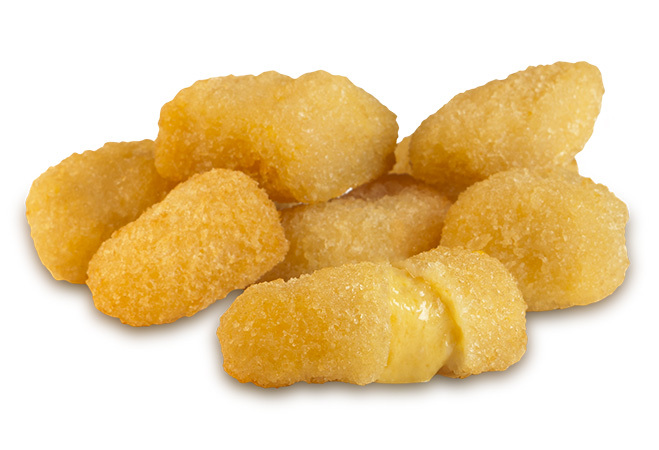 Creamy mild cheddar cheese cubes coated in our original breading. 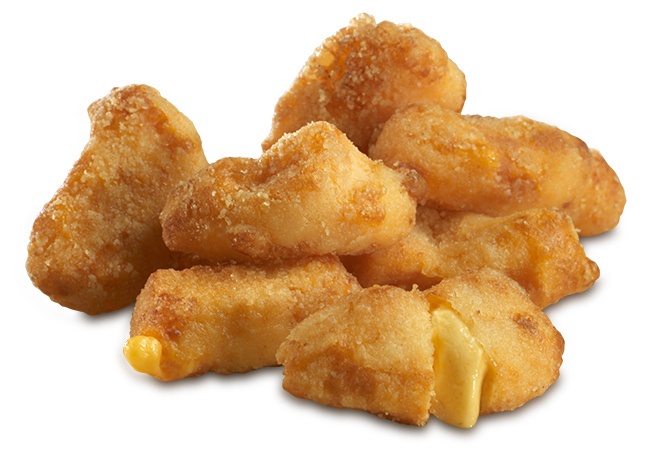 Natural Wisconsin cheddar cheese curds in a crunchy seasoned coating. 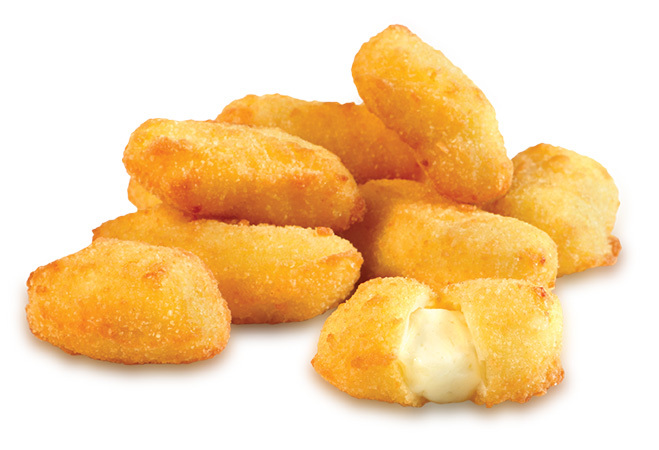 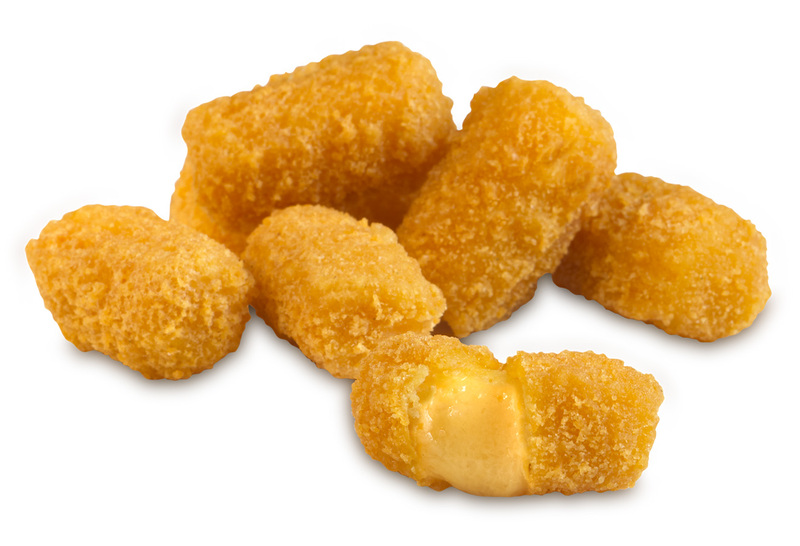 Delicious all natural cheddar cheese curds breaded in a crispy coating. 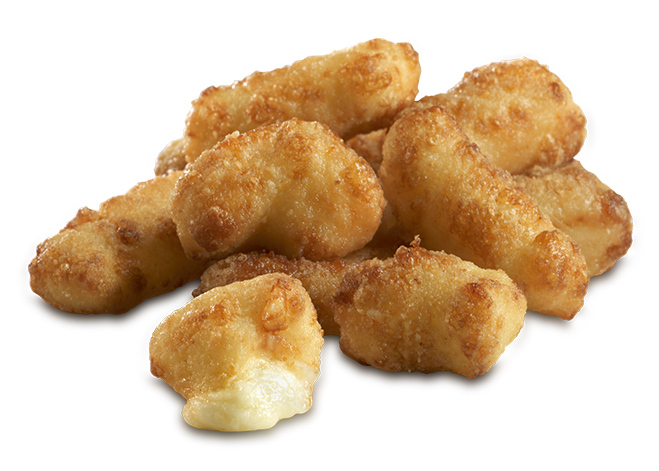 Squeaky fresh white cheddar cheese curds from Wisconsin dusted with just a touch of garlic. 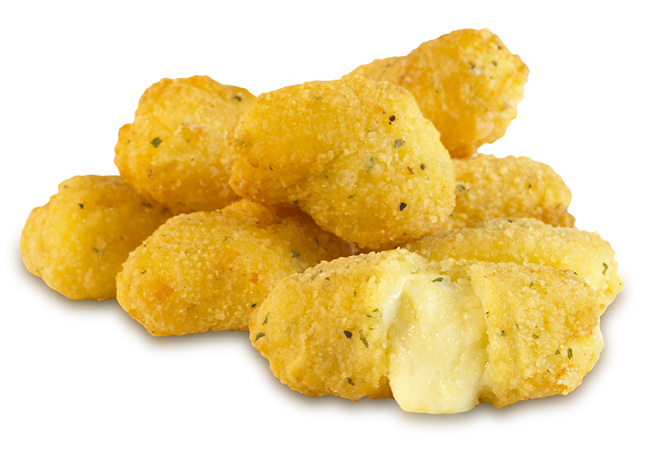 White cheddar cheese coated with Italian spices, parmesan, Romano, garlic and parsley. 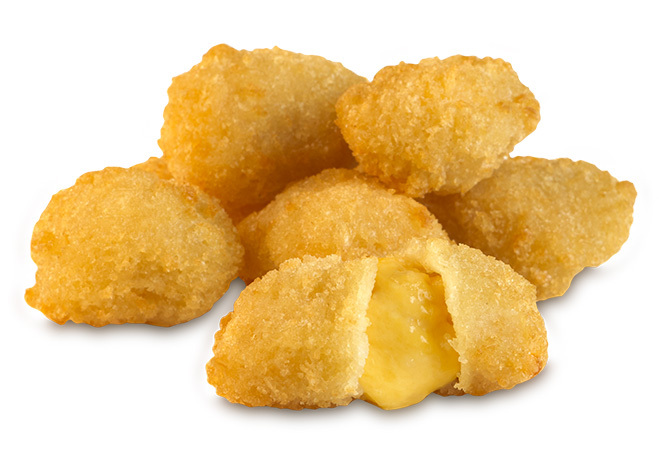 Yellow cheese nuggets coated in a buttery breading that will melt in your mouth. 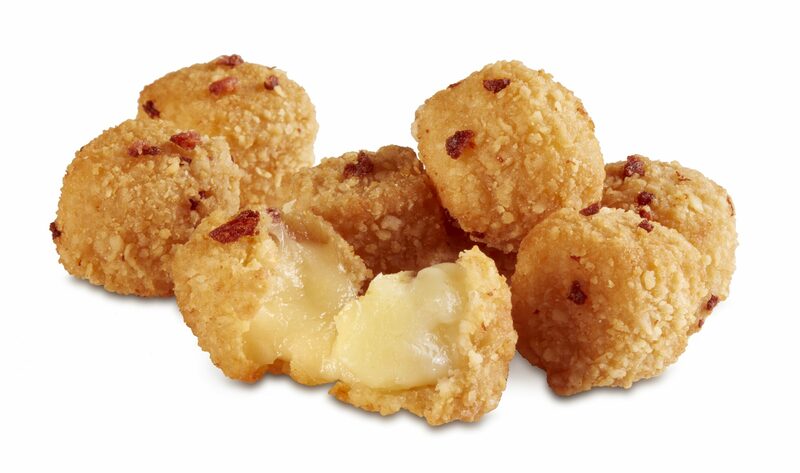 Lusciously smooth cheddar cheese with crisp buttery crumbs on the outside. 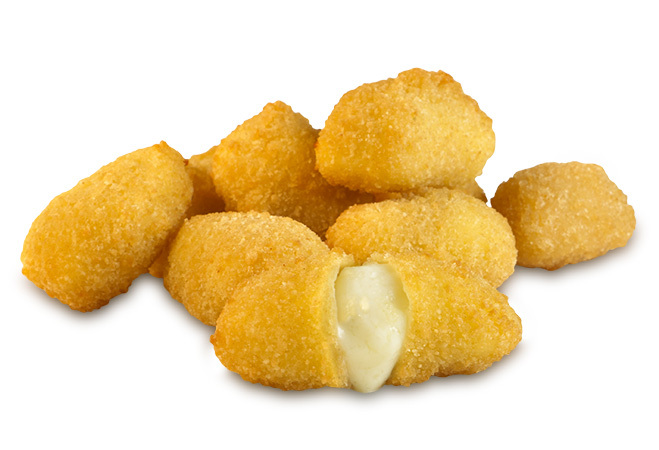 Creamy milk white cheese barely dusted with a light crispy golden coating. 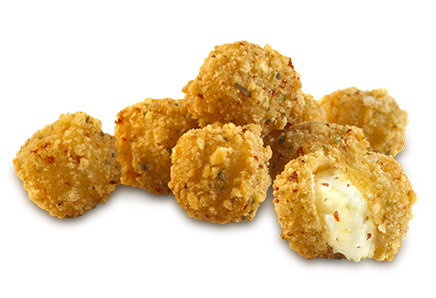 Natural white cheddar cheese curds dusted in a light jalapeño breading with the perfect amount of heat! 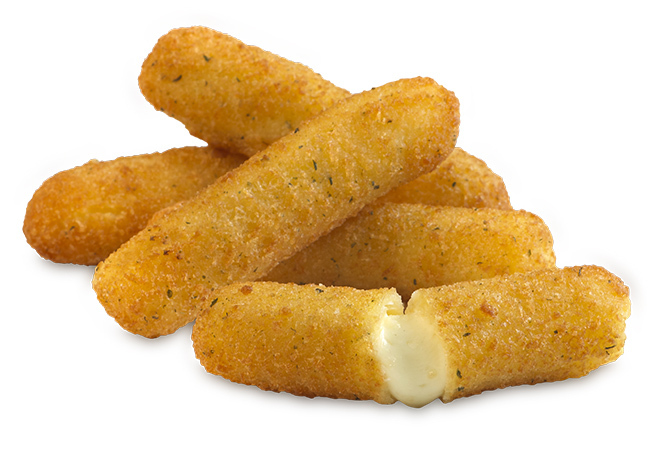 Wisconsin Mozzarella cheese planks drenched in a creamy seasoned breading. 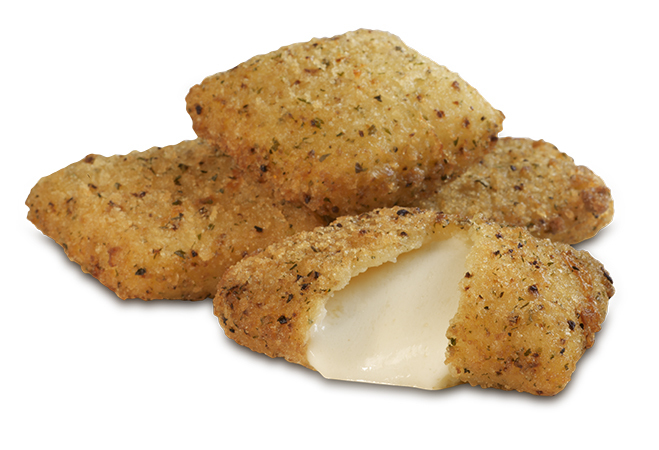 Creamy and rich whole milk mozzarella cheese bursting with sweet basil and tomato flavor.